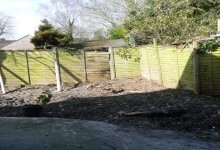 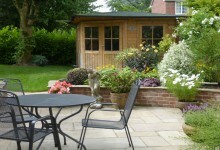 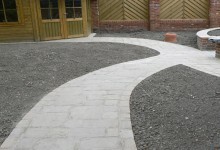 Services: Ideas Consultancy & Full Design, Planting Design, Plant Sourcing and Planting Up. 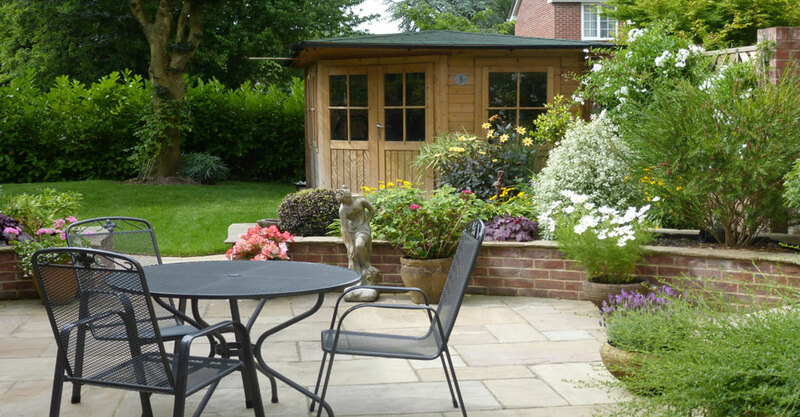 The customer was downsizing to a smaller property and garden but wanted to create an enjoyable outdoor entertaining space. 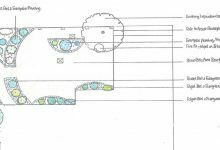 Their preference was for a ‘courtyard style’ garden, particularly near the house, where they had requested a fire pit and a water feature. 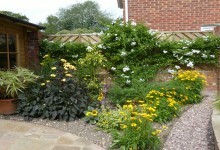 The design also needed to include a lawned areas and colourful informal planting to provide year round interest. 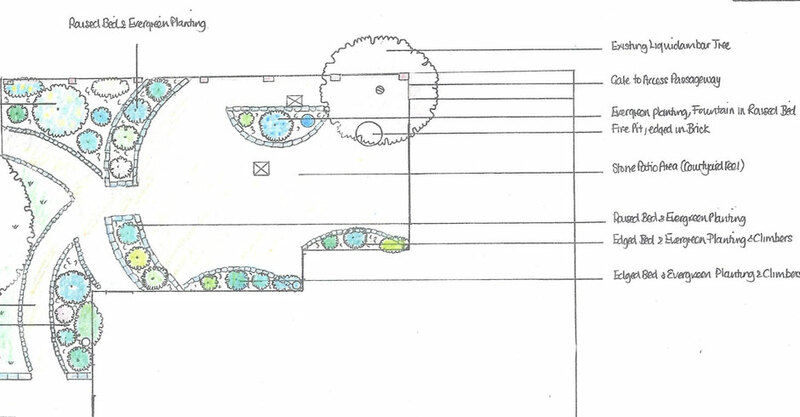 Planting areas needed to be easy to manage and consideration given to the size and height of the raised beds for their continued use in their future years. 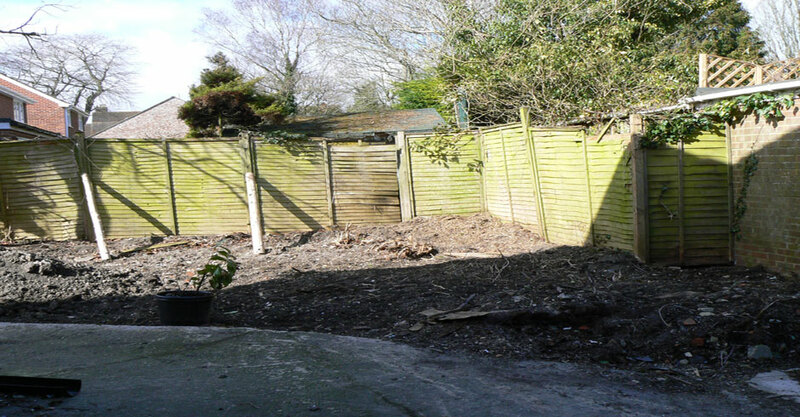 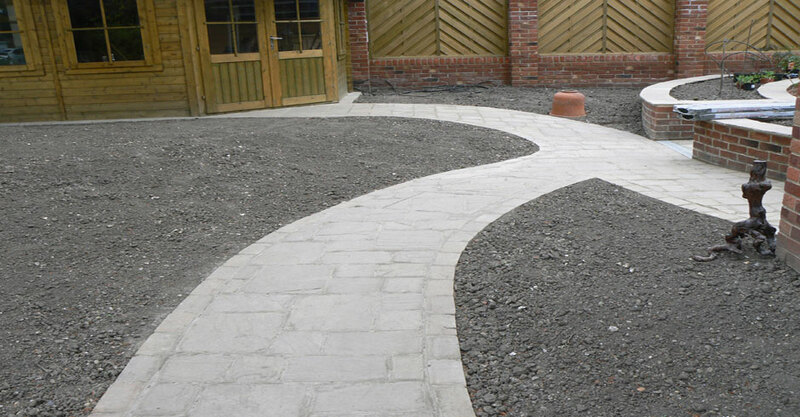 Problems which needed to be addressed were to increase privacy, as the corner plot was overlooked on two sides, hide the drainpipes, screen the new utility area needed for the bins and create an enjoyable outdoor space in what was a ‘building site’. 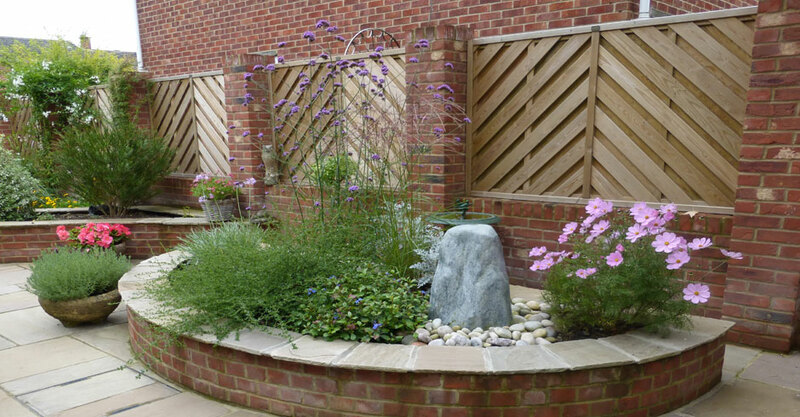 The design included easy to manage raised beds and upright Silver Birch trees were included to break up the skyline and provide some privacy from neighbouring properties. 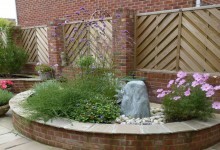 The planting was chosen to reflect the client’s preferences in terms of colour and specific requests such as ‘no spiky or invasive plants’. 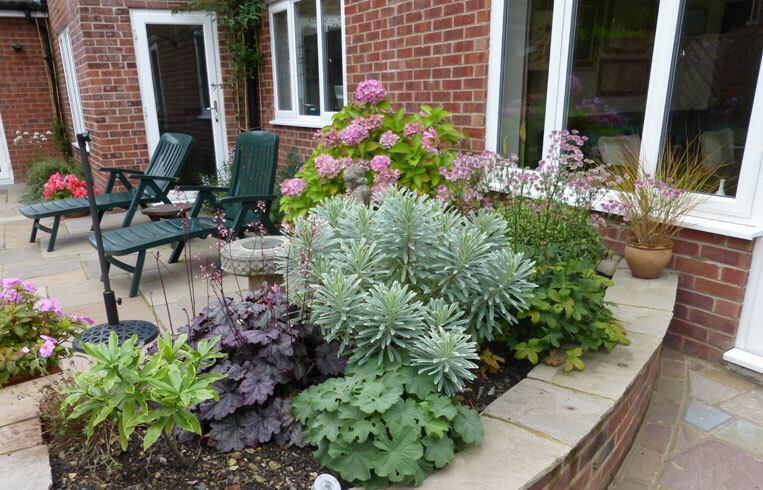 The result was to include several decorative and scented evergreen flowering shrubs which would not outgrow their locations, with the addition of seasonal perennials and bulbs to provide continuous interest throughout the year. 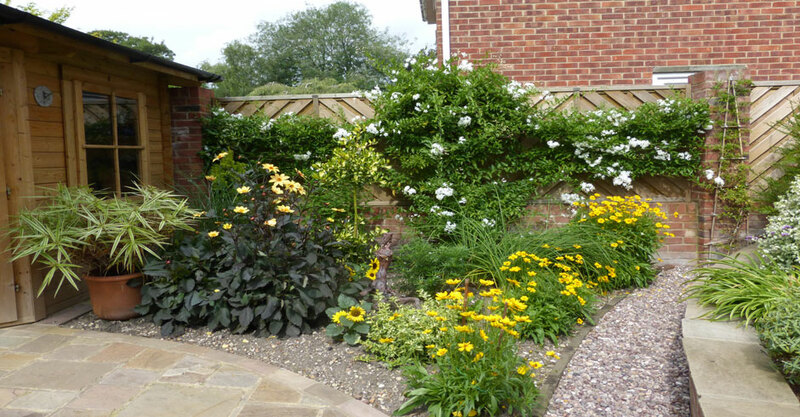 Some shrubs and perennials with interesting foliage and colours were specifically selected to link the new garden planting with some existing Copper Beech and read leaved flowering Cherry trees nearby. 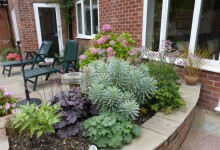 Pants included Coral Bells (Heuchera) Palace Purple and Chocolate Ruffles and Pittosporum Tom Thumb.